Oase electronic ballast units for pond filters and UV clarifiers. 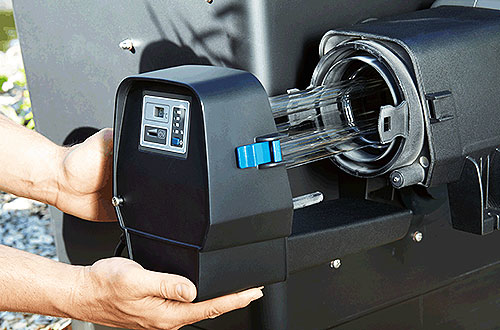 Various models to suit Oase Vitronic & Bitron UV, Filtoclear, Biopress & Biosmart filters. Replacement electrical Ballast Units for OASE Bitron & Vitronic Pond UV Clarifiers and OASE FiltoClear, BioPress and BioSmart UV pond filters. Ballast Units are wired with electrical cable and supplied with O-Ring seals. Click through each Ballast Unit to view which OASE products this unit will suit. OASE Ballast Units not found below can be ordered in upon request, please enquire for more details.